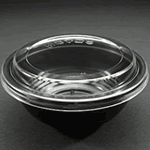 Professional takeaway sushi bowl with lid pack. Non microwavable. 15 in a pack.